It’s really hard to let go of things I know. But I promise it’s so freeing when you clean your stuff up. I’ve written about organisation lots before. 1. Freebies – think calendars, magnets, stubby holders and all the things that come in the mail. Also freebies from birthday parties, work functions, favour bags. Leave it all behind and say no thanks to those. 2. House plants – did I even say that?? OMG. I have so many. BUT I do love them and I do attend to them lots. If you want to live more minimally, then maybe house plants aren’t for you. If you have a black thumb then toss them out. You’ll feel lighter. House plants aren’t for everyone. 3. Your TV – you don’t have to throw it out and leave a big blank wall where it once was. It just means stop choosing to watch TV as often. Have you favourite shows, watch those only, but ditch the TV for more activities. 4. Late payment fees – Yes, we can all get rid of those. They are an unnecessary expense aren’t they? Automate your payments so you either pay a bill in advance weekly, or set up direct-debits. Don’t look at your statement at the end of the year and realise you’ve spent hundreds of dollars in late payment fees. 5. Clothes – have you KonMari’d everything yet? I have! Follow my Facebook group here too. You can toss/donate so many of your unused clothes so your wardrobe feels lighter. If it’s too overwhelming, then turn all of your clothes hangers in the opposite direction and after 12 months if you haven’t worn them then you know it’s time for them to go. 6. The ‘only once’ things – like magazines, DVD’s, books etc. 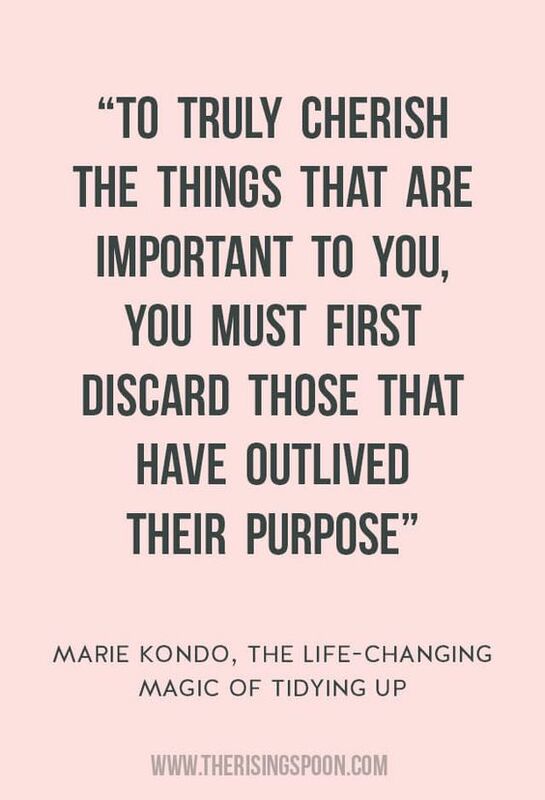 In this online world it may be time to clean out these cluttered items. 7. 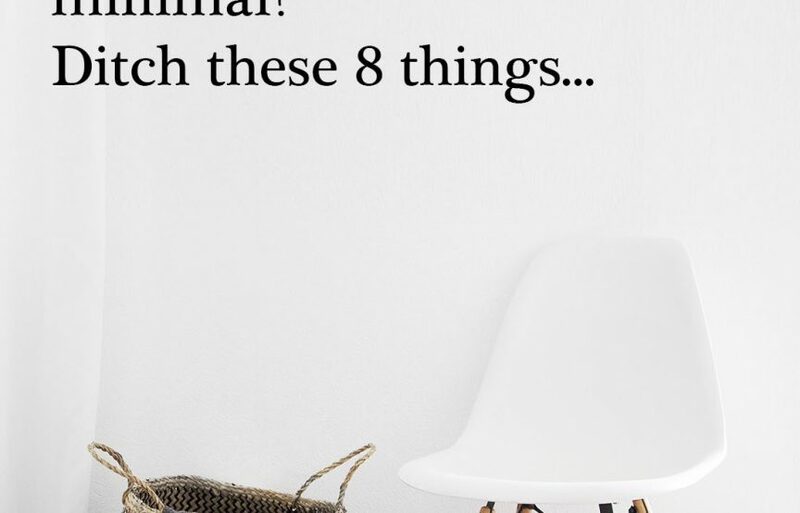 Decorative items – too many vases, candles and trinkets? I turn mine over often because I do love interior design but I don’t hold on to them just because. I either give to a friend or sell them in a Facebook group. 8. Cosmetics – I’ve recently had a massive cull of these. I tossed so many half used, or unused products. Plus I’ve gone low-tox in the home so it was time for all of these to go. I have my basics and that’s it now. There you go! 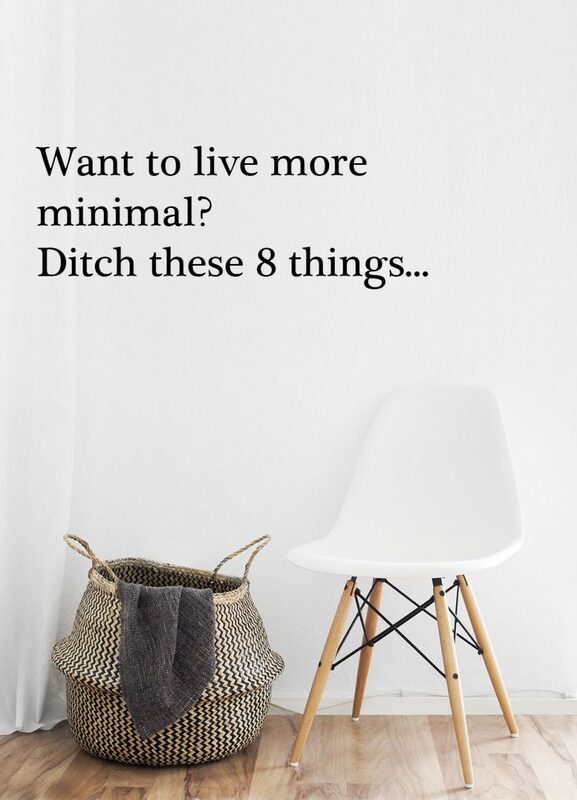 Get your minimal living on and you won’t spend time cleaning and putting things away. The less you own, the less you have to keep clean. I like that. Previous Article Previous post: 16 ideas for open shelves in your kitchen!